Dr. Layton started this year’s “Happy Together” parade off with a fairy good time! He led his team to a tooth sparkling victory, smiling the entire parade. 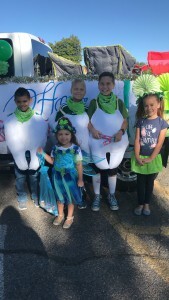 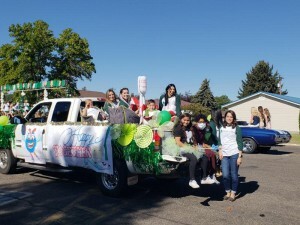 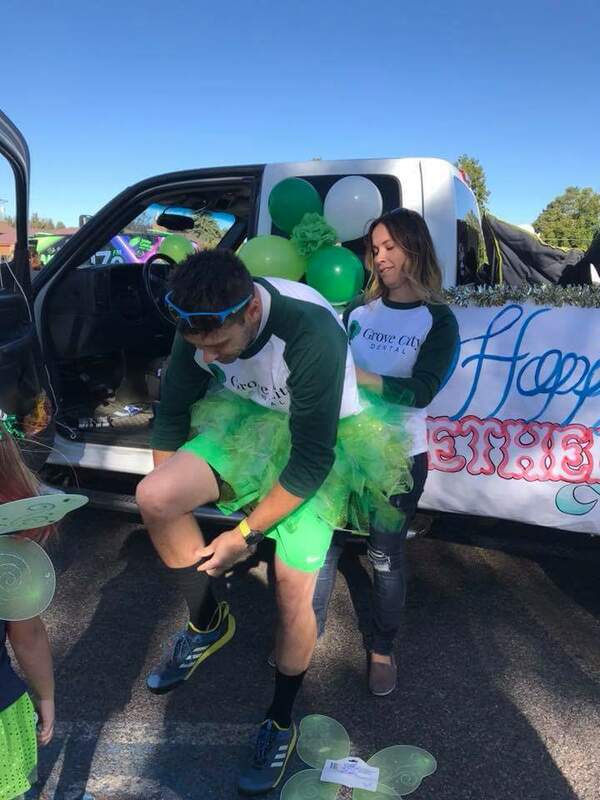 Our team was decked out to match the theme of the parade “Happy Together”, it doesn’t get much better than teeth, toothpaste, toothbrushes, and tooth fairies. 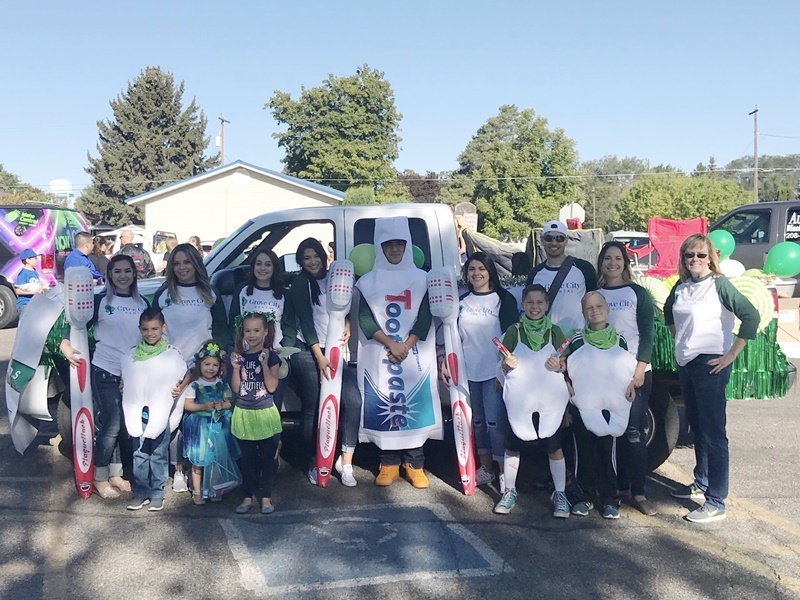 There were thousands of children lining the streets of Blackfoot, excited to receive a toothbrush, toothpaste and floss from our float. 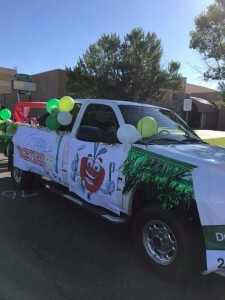 Look for us in the parade next year and maybe YOU will get a hug from the tooth fairy!